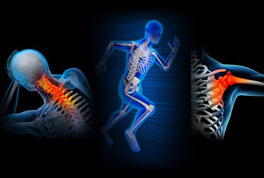 Samuel P. Harms specializes in diagnosing and treating disorders of the Spine. Samuel P. Harms completed his Fellowship at The Texas Back Institute, with specialty training in all areas of spine care, including surgical and non surgical treatments and interventional pain therapies. Patients are treated with the latest proven surgical techniques including minimally invasive surgery, microsurgery, and deformity correction. “Surgery as a last option” is the cornerstone of Samuel P. Harms care philosophy to spine treatment.